VMware today announced the release of VMware Fusion 6 with more than 50 new features to deliver its ultimate Windows-on-Mac experience. VMware is also releasing a new version of VMware Fusion 6 Professional with advanced features designed to dramatically improve the way businesses deploy corporate desktops on Macs and PCs. ● Designed for Mac OS X Mavericks - Extend the unique features of Mavericks to a Windows environment, such as taking full advantage of every display connected to a Mac with multiple display support and enhanced dictation support in Windows applications. 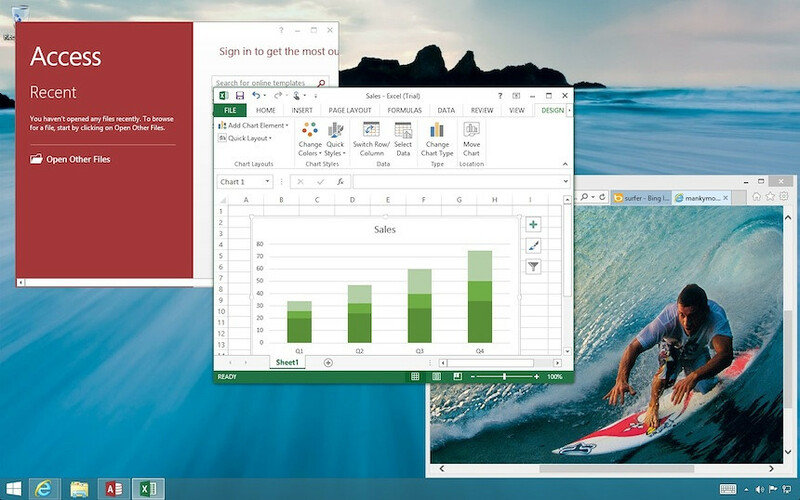 ● Ready for Windows 8.1 - Get the most out of Windows 8.1 by running Windows Store applications side-by-side with Mac applications. 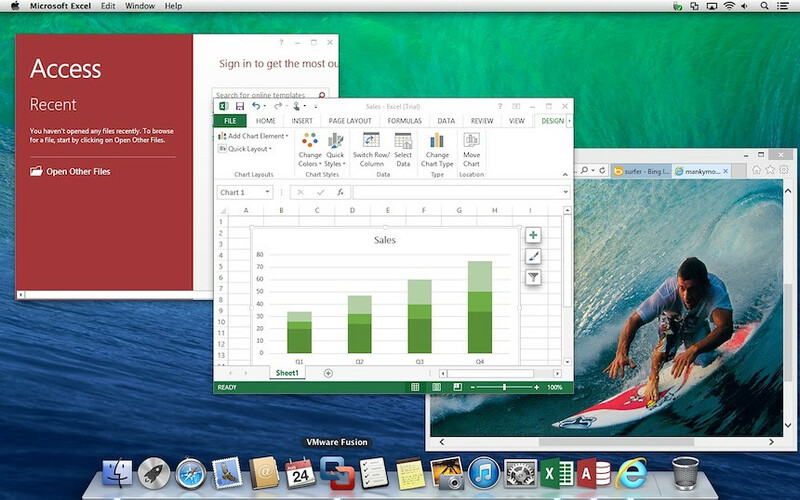 With VMware Fusion 6, users can access Windows Store applications in Launchpad or the Applications folder and put them in the Dock in Unity mode. ● Optimized for the Latest Macs - VMware Fusion 6 is optimized for the latest Macs taking advantage of Intel's latest Haswell processors for even better battery life and even faster performance when running Windows applications. ● Create the Most Powerful Virtual Machines - Create virtual machines with support for up to 16 vCPUs, 8 TB virtual disks, and up to 64 GB of memory to run the most demanding Windows applications on a Mac. ● Enhanced User Interface - From its streamlined user experience and improved PC migration assistant, to easier installation of Windows and more granular selection of computer resources, everything has been enhanced to give users an even better way to run Windows on a Mac. ● Enhanced Restricted Virtual Machines - Fusion 6 Professional enhances restricted virtual machines by adding more customizable restrictions that provide IT administrators with even more control over deployments of corporate desktops. ● Expiring Virtual Machines - With the ability to expire virtual machines at a specific date and time, VMware Fusion 6 Professional enables deployment of corporate virtual machines to contractors and allows software developers to easily deliver demos of their software as a time-limited virtual appliance. ● Single Virtual Machine Mode - Easily prevent users from creating new virtual machines or accessing specific application features, to reduce support calls and increase productivity. ● Linked Clones - Linked clones allow users to create multiple copies of a virtual machine without duplicating the entire contents of the original disk saving considerable space on their Mac. ● BYOPC with VMware Player 6 Plus - VMware Fusion 6 Professional is licensed to customers to use VMware Player 6 Plus to run restricted virtual machines created by VMware Fusion 6 Professional on Windows and Linux PCs. VMware Fusion 6 and VMware Fusion 6 Professional are available immediately for download and purchase from vmware.com for $59.99 and $129.99 respectively. VMware Fusion 6 Professional is also available from VMware solution providers. Customers who have purchased VMware Fusion 5 between Aug. 1, 2013 and Sept. 30, 2013 are eligible for an electronic upgrade to VMware Fusion 6 at no additional cost. VMware Fusion 4 and 5 customers can upgrade to VMware Fusion 6 for only $49.99 and to VMware Fusion 6 Professional for $69.99 at the VMware online store.